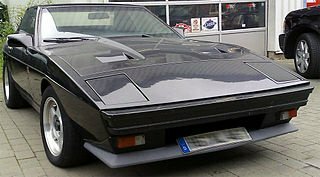 The TVR Tasmin 280i Series 1 sports car, launched in 1980, was powered by a Ford 2.8 litre, Cologne V6 engine, which was fitted with Bosch K-Jetronic fuel injection, and linked to a four speed gearbox. This engine developed 160 bhp at 5700 rpm, and 162 ft/lbs of torque at 4300 rpm, and produced a top speed of 130 mph, with a 0-60 mph time of 7.8 secs. It had a compression ratio of 9.2:1, and used power assisted four wheel disc brakes, with 10.3 inches in the front and 10.4 inches at the rear. A Ford three speed automatic transmission was available as an optional extra which meant that, in fact, the Tasmin 280i was the first TVR to offer this refinement. In 1982, only 121 units of the two Tasmin variants had been built but, by 1985, production had risen to 472 units. Both the Series 1 Tasmin 200 and Tasmin 280i were discontinued in 1984. That same year, the TVR Tasmin 280i sports car was renamed the TVR 280i, with the Tasmin name now being discarded. It is worth noting that the top speed of the Series 2 TVR 280i fell from 130 mph to 128 mph. 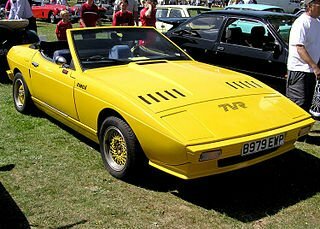 By 1987, when production of the Tasmin ended, a total of 1367 units of the TVR Tasmin 280i and TVR 280i had been built, and consisted of: 258 of the coupe, 247 of the 2+2, and 862 of the convertible. When the TVR 280i was discontinued, it was succeeded by the TVR S, which was powered by the same engine, but priced much more attractively. The Tasmin was first introduced into the US market in 1983, and designated the TVR 280i sports car. However, the output of its German Ford V6 engine had been reduced from 160 bhp to 145 bhp in order to comply with strict US emission control regulations. Consequently, the 0-60 mph time increased correspondingly from 7.8 secs to close to 10 secs. Such performance, and the relatively high selling price, had an adverse effect on sales, most of which were in convertibles. Since the 2.8 litre Ford Cologne V6 engine had already cleared US emission regulations, the TVR 280i Series 2 was launched onto the US market in 1987. What's more, they were exported to the US in much smaller numbers than previously, and only throughout 1987. As a note in history, this model was the last TVR to be exported to the US, with numerous reasons being offered for its withdrawal from this lucrative market. 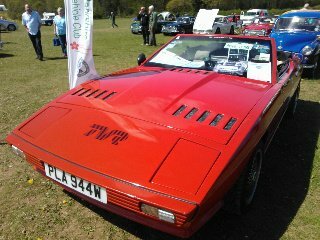 A 1980-87 TVR Tasmin 280i would fetch around £5,000/$8,000 depending on condition.